•Recommendation of strategies for improving security effectiveness and efficiency and development of a suite of security services that is tailored to your unique needs and goals. Security Audits The IGS Security Audit program helps solve problems before they arise. We provide a detailed assessment of the state of your organization’s existing security operations. Through its findings and audit evidence, the audit team assists management in identifying potential or existing problem areas. We. then concludes the audit by recommending effective solutions and implementation strategies. Ongoing and periodic tests of the system ensures that a high level of efficiency and effectiveness is maintained. 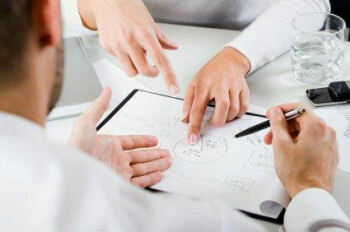 Each audit is headed by a team of experts with extensive security experience. Once the analysis has been completed, you will receive a detailed report that highlights the strengths and weaknesses of your current security posture. The report includes recommendations for increasing the efficiency and effectiveness of your company’s security program. We will then assist you in implementing the recommendations included in the report. As a full service security provider, we offer the professional services you need to meet the recommendations resulting from the audit. The IGS Security Audit covering the following areas: Building Profile – Existence of Clearly Written Security Objectives – Completeness of General Orders and Instructions to Security Staff – Review Access Control System and Procedures – Security Hardware, Software and Communications Systems , Documentation / Paper Audit Trail – Emergency Procedures and Simulations – Security Guard and Employee Screening, Recruiting and Training Procedures – Staff Competency Levels – Work Carried Out Congruent with General Orders and/or Contract – Problematic Areas (Tenant Interviews, tenants with Special Needs) – Management, Head Office – Management Information and Tenant Value – Assessment – Economic and Risk – ROI- Security Needs Established – Threat Assessment – Existence and Adequacy of Recovery Plans – Computer and Data Security – Terrorism and Anti-Terrorism Considerations – Medical Emergency Preparedness and Response – Vulnerability Assessment – Loss Prevention Issues – Tenant, Employee and Contractor Recommendations.